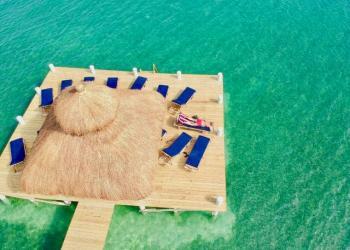 We have been introduced to the most amazing island off the coast of Belize called Caye Caulker. It’s a small island, not much more than a mile in length with no cars just golf carts and bikes. While being well established on the back packer circuit we felt there was a great opportunity to add some higher end properties to the mix so we did. 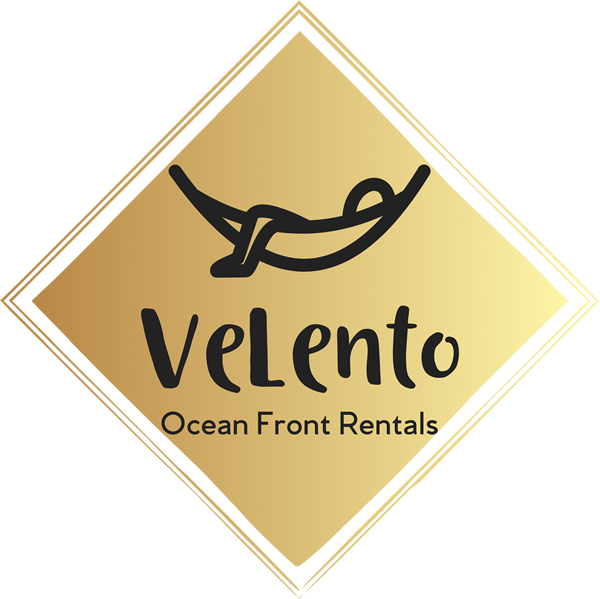 Since 2012 we have built 14 different homes, our newest addition are the VeLento Oceanfront Rentals which are proving to live up to our boast of being the very best accommodations on the island. 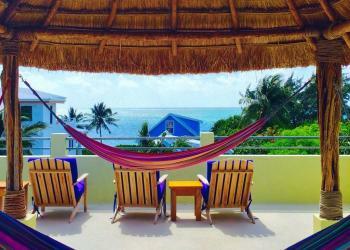 This property is located on a quiet part of the island and only a short stoll along the beach to town. Our properties have proven to be a great success and we’ve been getting rave reviews so if you fancy a change from the snow and want to try something a little different here you go! There are a ton of restaurants with the best food imaginable at prices you won’t believe, the bar scene is great and the Split as well as KoKo King have probably two of the best beach bars you’ll find in the Caribbean. Beautifully finished brand new 2017 water front home with private beach and dock and pool shared with the guests only staying in our four homes. This upstairs home has 3 bedrooms and 3 bathrooms and an incredible private sea view deck. Beautifully finished brand new 2017 water front home with private beach and dock and pool shared with the guests only staying in our four homes. This ground floor unit has 2 bedrooms and 2 bathrooms with a futon in the living room. Beautifully finished in 2014 this home has a private beach, dock and a pool shared with the guests only staying in our homes. This home has 3 bedrooms and 2 bathrooms and an awesome deck opening up onto to the pool complete with partial sea views. 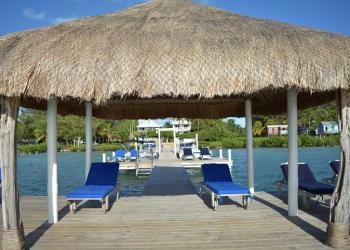 Beach Suite/Swimming Pool/ Private Swimming Dock. This home is located in a small gated enclave of private homes and only about 40 yards to your beach area and swimming dock. Air conditioning Large swimming pool with sun deck and loungers Private Dock and beach area with chaise loungers under a large palapa, sea access for swimming. This new home has modern island finishes, hardwood floors, hardwood vaulted ceilings, a fully equipped kitchen, linens, washer, TV, internet service, air conditioning, and a large swimming pool with loungers. Beautifully finished new in 2014 water front home with private beach and dock and pool shared with the guests only staying in our four homes. This upstairs home has 3 bedrooms and 2 bathrooms and an incredible private sea view deck. Beautiful new in 2016 water front home with private beach, dock and a pool shared with the guests only staying in our 4 units. This ground floor home has 1 bedroom and 1 bathroom and opens into a beautiful Palm Grove garden and is 200 ft to the sea. Beautifully finished built in 2014 water front home with private beach and dock and pool shared with the guests only staying in Parky's Place's units. This ground floor home has 2 bedrooms and 1 bathroom and an incredible private seaview deck. The Seahorse Cabana with swimming pool and access to our private dock/beach area-This brand new single family home has modern island finishes with hardwoods throughout, high vaulted hardwood ceilings, full kitchen, washing machine, Air Conditioning.